July's CLUB Q with our 'all new' MISS MORGAN paper line. 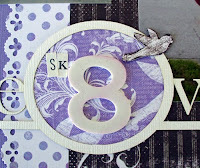 This month's kit included super cute paper doilies and here you can see how Julie used one of hers. 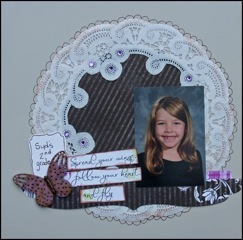 She cut out the middle and then matted one of the 'Miss Morgan' papers behind it. Great idea Julie!!! 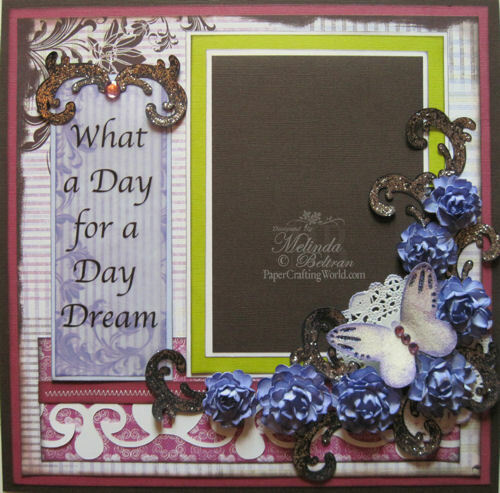 MELIN - "What a day for a day dream"
Check out the amazing detailed flourish on this layout!!! 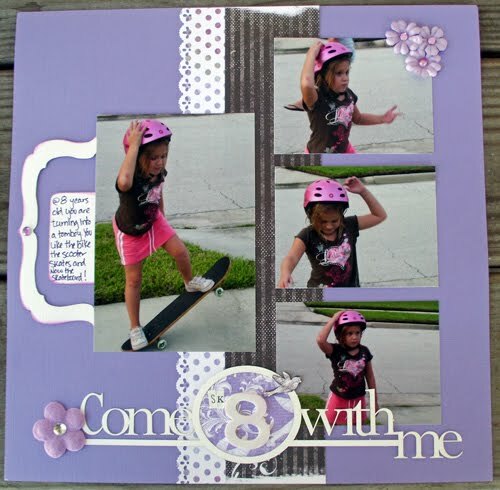 MICHELLE -"Come Sk8 with me"
This month's kit came with a diecut title called 'Come FLY with me'. Being the creative lady that Michelle is, she altered it to fit her layout. She cut out the FLY and changed it to sk8. (Fun fact: did you know that QQ now has 3 brand new ink colors and two of them are purple hues???) Check the new colors out here! Love the layouts. Thank you for the inspiration. I am excited about the changes to your blog... 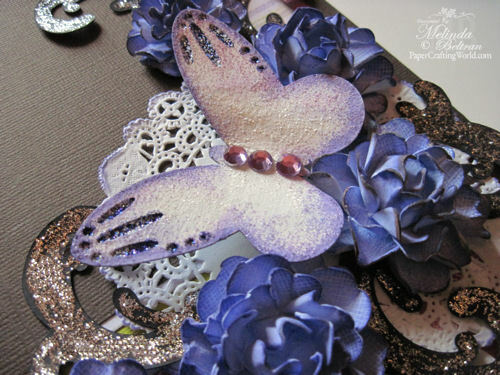 I would love to have a Blog Challenge about HOW Do you GIVE Back using Quick Quotes products? We could even have a Create a Layout for a selected Non-Profit organization that Quick Quotes supports. It could be a contest to see how many you can create by a certain date or every layout received would get an entry into a contest drawing... Quick Quotes has been an AWESOME supporter for Crops of Luv and we would even be willing to sponsor a prize if we are selected as one of the Non-profits to benefit from something like this.